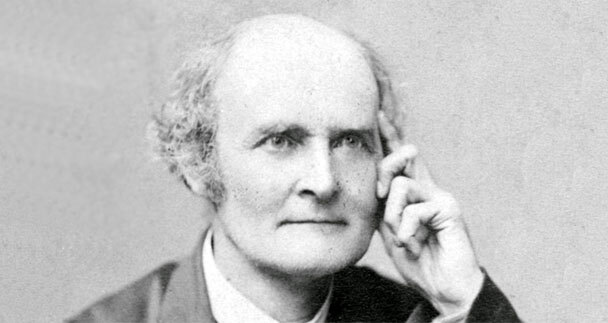 Arthur Cayley was a British mathematician born on 16th August 1821 in Richmond, London in England. However, he spent his early life in Saint Petersburg, Russia and moved to Blackheath, London in 1829 with his parents. His schooling was done in a private school and at the age of 14 he entered King’s College School where his teachers observed in him a mathematical genius advising his father to send him to university where he could pursue the subject. Therefore when Cayley was 17, he was sent to Trinity College in Cambridge where he studied mathematics and languages excelling in both. After his graduation in 1842, Cayley was given a Fellowship at the Trinity College. Due to his unwillingness to agree to some holy orders, an obligation of the time, Cayley’s stay at Cambridge had to end. He then enrolled at Lincoln’s Inn to study law starting his legal practice in 1849. Cayley, who was working as a full time lawyer, did not allow this to hinder his mathematical talent. Although he spent fourteen years practicing law, he also wrote more than three hundred mathematical papers. He worked in collaboration with his contemporary James Joseph Sylvester who helped him work out his time between the two fields. Together they made the algebraic theory of variants. Cayley took up a career in academics by accepting the position of Sadleirian professor of pure mathematics at Cambridge University in 1863. The following years proved to be very fruitful for Cayley. He was made an honorary fellow of the college in 1872. He published a treatise on ‘Elliptic Functions in 1876 and wrote several memoirs on analytical geometry, theory of Determinants, theory of Matrices, skew surfaces and many more. In 1881 he accepted an invitation from the John Hopkins University to lecture on various mathematical courses. In 1883, Cayley was made president of the BMA (British Association for the Advancement of Science). On the request of the press at Cambridge University, Cayley prepared his mathematical papers in a collection form which were printed in outstanding ‘quarto volumes’ (book binding) with Cayley as the editor of seven of them. While he was working on these papers, he suffered some an internal injury which cost him his life. Cayley died on 26th January 1895 at the age of 74. The rest of his papers were then edited by his beneficiary of the Sadlielian chair, Andrew Forsyth. These papers were called the ‘Collected Mathematical Papers’ and consisted of 967 papers in total. Cayley was a brilliant mathematician with a different yet influential manner. He had formidable mathematical aptitude with a great intuitive mind for mathematical theories and symbolic operations. Although specialized in pure mathematics he also worked on mechanics and astronomy while being highly active in lunar studies and dynamics. He also took part in various extracurricular activities such as painting and mountain climbing. He was honored during his life with the Copley medal in 1882 which was given to him by the Royal Society.